One of the first things we worked on was making the hero more heroic. Romance novels rely on two characters: the heroine and the hero. The story should be told from the heroine’s perspective most of the time. The hero’s point of view is important, too, and readers like seeing the world through his eyes. They also want him to be swoon-worthy. You may be thinking, I don’t write romance, so why should I care? Substitute larger than life for ‘swoon-worthy’ and the principle applies to all great novels. The best characters jump off the page. 1) Jot down one important conflict involving your protagonist. Don’t just write – John must fight Mary’s father to win her hand. Be specific: When John meets Mary’s family for the first time, her father makes a crude and offensive joke about XYZ group. 2) Jot down your hero’s response to the situation. For example – Fearing reprisal, John says nothing, but he commits this moment to memory and will later use it to his advantage. 3) Jot down the ways in which the above response reveals character. Try to be objective. In other words, don’t manipulate your answer; allow your intuition to guide you. Have you revealed character in the way/s you had intended? 4) Now imagine a larger-than-life character-someone who inspires a strong response (positive or negative) in all the people around him or her. 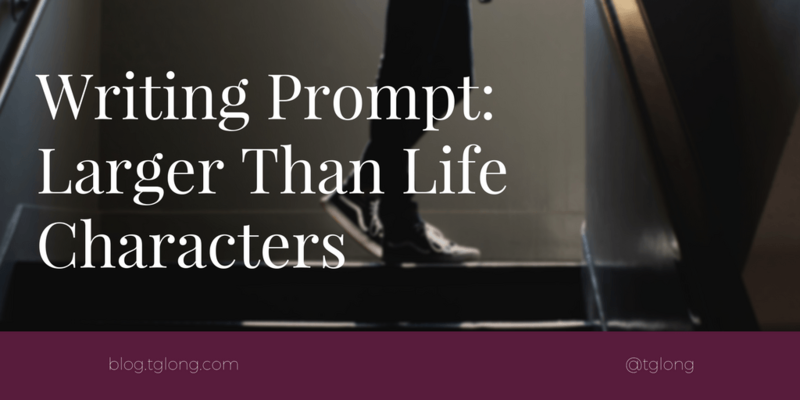 How might this larger-than-life character have responded to the situation your character faced? 5) Finally, rewrite the scene so that your character becomes larger than life. As the girlfriend of a rock star, Deena Smith traveled the world in style. Now she’s moved on and enjoys a quiet life as a college instructor. When she discovers her rocker ex stole a notebook of her song lyrics and claimed them as his own, Deena is determined to do whatever it takes to get her notebook back, even if it means playing nice with her evil ex. But when her co-worker offers to help restore her work, little does she know her quiet little world will be turned upside down. Sympathetic to Deena’s plight, Jack Karris offers to assist. He can’t stand the idea someone would wound her so deliberately. But despite the desire that sparks between them, Jack can’t wait to leave the small university town behind. Deena is his unwitting ticket to New York, and although she has zero interest in the project Jack proposes for her writing, he’s convinced she’ll also find a dream come true. When the truth comes out, and Jack’s good intentions are revealed, Deena must decide is he the sincere man she’s come to trust, or is he just out to steal whatever he can… including her heart? Fabulous post. Thanks for the rather timely links, I'm editing now. Thank you, Raelyn – I've bookmarked your blog!